Recent developments on the Korean peninsula have brought little change to proceedings in the ongoing conflict between North Korea and its neighbor to the south. The latest sanctions package against the Kim regime, which was passed just last week as a response to the North’s sixth nuclear test, is a bit watered down, to say the least, and there is little hope that they will have little if any impact at all. The United States had originally hoped for tougher measures, but with China and Russia dissenting to the attempt by the Trump administration to effectively put a stranglehold on the hermit nation, it is safe to say that it will take much longer to drag out a solution to the crisis. The situation is being further exacerbated by the convening of the United Nations General Assembly, where United States President Donald Trump addressed world leaders at the forum for the first time. The United Nations role in the conflict could be critical in the near future, and a lot could depend on what the overall result of the meeting will be with regards to North Korea. To be sure, there are three issues at present which need to be addressed if there are to be any inroads to a solution. "There are three issues which need to be addressed"
The first and most obvious problem is the existence of a nuclear North Korea. It is well known that the Kim regime has ramped up production of missiles and nuclear technology since the beginning of the year, culminating in several active tests within the past few months. It is no secret that the regime has no intention of surrendering the development of its programs, as it continues to insist that these programs are the only means available for the defense of the authoritarian state. The first factor has a direct impact on the other two, the second being that a formal peace treaty was never signed between North and South Korea, meaning of course that the two countries have essentially been at war for the past seventy years. 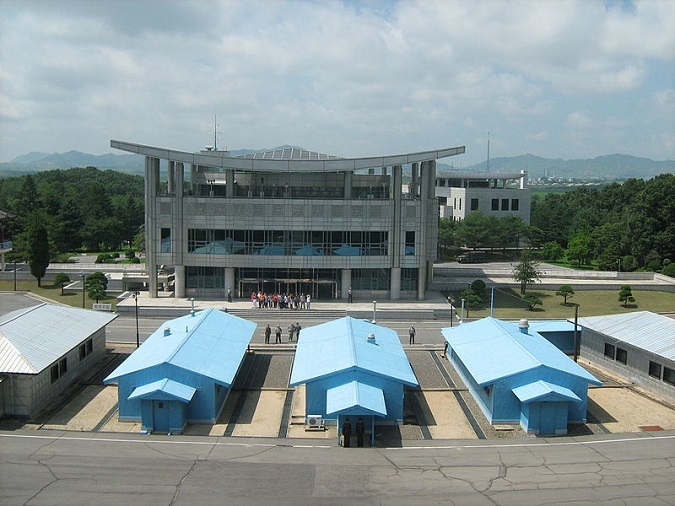 The third factor, which would be the transfer of operational control on the peninsula from American forces to the command of the ROK could potentially put South Korea at risk as it could result in a complete withdrawal of American troops, leaving the door open for North Korea to deal with the south as it so chooses. One would have to think that the South Korean military could not fight off North Korea if China and perhaps Russia stepped in on the side of the Kim regime. She went on to add that should North Korea continue with its reckless behavior in the future, should the U.S. have to defend itself or its allies, that North Korea would be completely destroyed, and that it is already a well-known fact, but that war is something that no one wants. There is also a distinct possibility, according to the ambassador, that the whole matter could be handed over to U.S. Secretary of Defence James Mattis, an indication that the United States could potentially be leaning toward a military option now more than ever before. Is dialogue no longer possible? Many within the current administration including the president have said that dialogue is no longer possible under the current circumstances, another sign that things could take a turn for the worse in the not too distant future. On the heels of his first address to the U.N., where Trump seemingly threatened to “completely destroy” North Korea, it has left many with a wide array of questions as to what was meant by the words in his speech. The first and obvious conclusion for many would be to think that Trump is, in fact, ready to use American military power to wipe North Korea off the map, but not everyone thinks that way. Andrei Lankov, a North Korea expert at Kookmin University here in Seoul likened Trump’s words to those being used by the Kim regime for decades, adding that if such words are not backed up, it would tarnish the image of the United States in the international community. Questions have abounded for months now as to what the ensuing fallout will be as the temperature on the peninsula continues to rise. We may soon get an answer, it just may not be the one we want to hear. What is being done to tackle Korea's suicide problem? Who will wipe the tears of Ethiopian veterans of the Korean War?